January 7, 2019 Activision/Blizzard Entertainment confirmed its second openly gay (male) character, Soldier: 76 (Jack Morison), in a AAA game, Overwatch. I will catch you up on the story, if you want to see some reactions and know my opinion just scroll to the bottom of the article. Blizzard has been releasing story lore in the form of comics, videos and other media including in game clues but a new installment “Bastet” is all story. To properly understand the whole story, let’s go back to Overwatch “game” year one (I’m not going to tell the story just connect the dots you may have missed). Ana Amari is released and with her we get the digital comic “Old Soldiers”. Click the link to read through the whole thing. Jack is looking for Ana who he thinks she is dead but she thinks he is dead. Jack goes to the compound where he suspects The Reaper is planning to be next. Jack storms the compound and finds The Reaper who he knows is Gabriel Reyes. But Reyes has been looking for him also. Notice the last frame we may not have caught before. 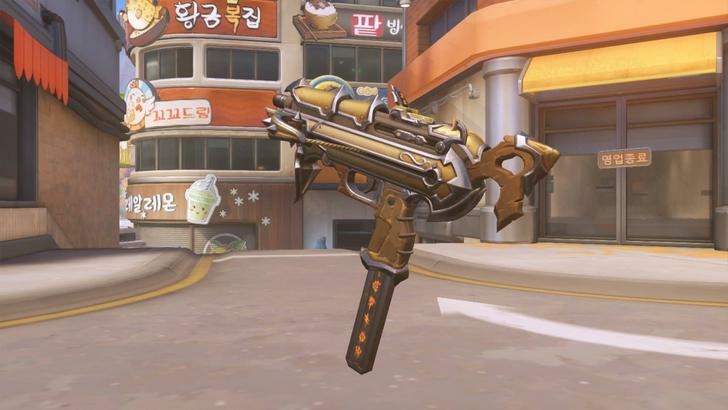 He done something to his weapon to make it damage 76 who he knows to have healing power. Ana swoops in to save the day and Jack and Ana are reunited. 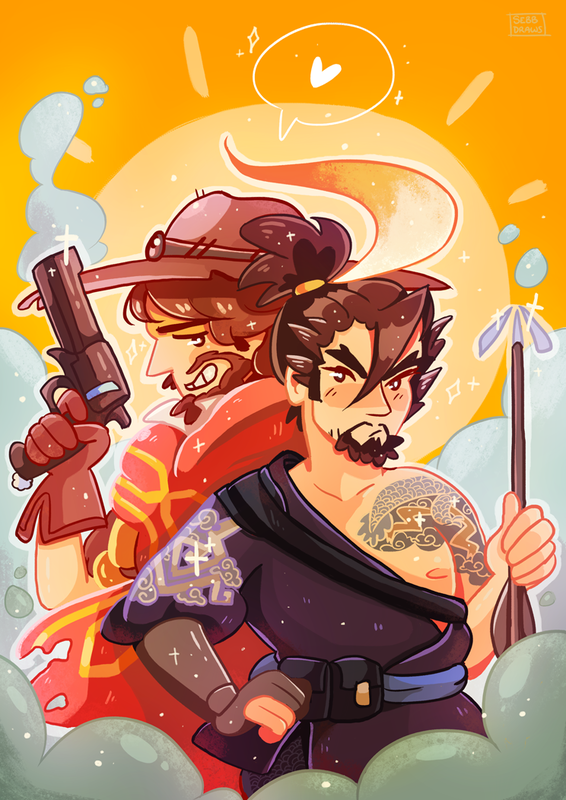 Fast forward to Overwatch WinterWonderland 2016 and we get the comic Reflections. We see 3 things here. 2. Ana & Jack chillin in their apartment waiting for the crime boss to show himself. Jack is seen looking at a photo of him and Vincent. 3. Reaper watching a family. We can now assume that it’s his family he left behind. 3.a. It could also be Vincent? A black haired man slightly older than the photo Jack had. 4. Pharah visiting her Dad who we know now to be named Sam. Then comes the new map in game called Necropolis. There may be more to the map but for now we see the drawings on the walls to mean something different. Ana, Soldier 76 facing The Reaper. It may mean more as we get more story but we can assume it for now. 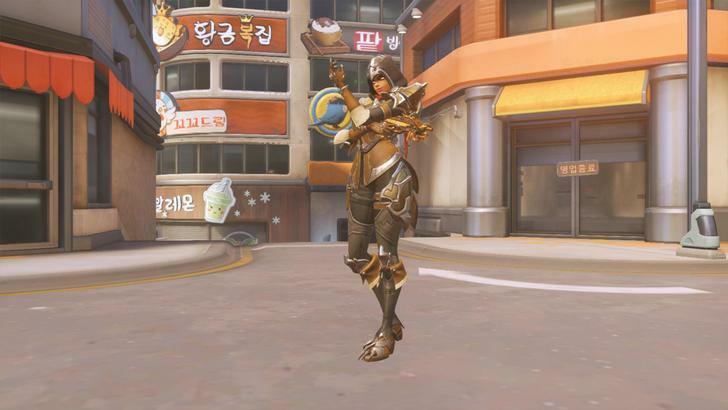 The winged Goddess is Pharah. The Bastet story is just that a written story, blessed to us, by Lead writer Michael Chu. This new way of telling the Overwatch story is huge because the team could give us story and lore faster with this method than ever before. Also the a written story the potential for more lore within a release is increased as well. The story begins directly after “Old Soldiers” Ana is trying to patch up Jack because his wounds aren’t healing themselves. Also Angela (Mercy) doesn’t know they are alive. Ana curses the “damned scientist” for causing Gabriel’s transformation (Moira?). Possible Moria created a biological weapon for Reyes to eliminate super soldiers still in existence such as Jack. Ana and Reyes have had families and Jack is gay. The same photo we saw in Reflections. There are more hints contained in the story I just wanted to connect all the dots between the 3 of our main heroes for right now. Thousands of tweets posts videos in one day here are some of the not nice posts. 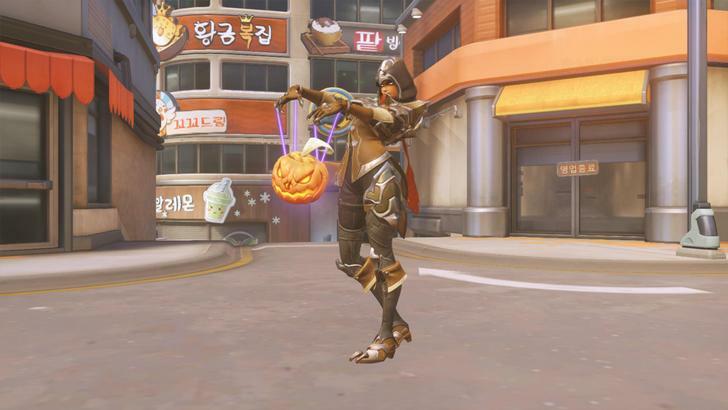 The characters in “Overwatch” are what compels me to not only play the game but create content like this. So a hero/character being revealed as Gay is amazing to me. It’s not flashy or in your face but it’s there behind all the other stuff (part of the bigger story). For the reason that they don’t make it obvious, gay for the sake of being gay, is the best part. Saying that it’s ok to be this way (whatever way that is) and you can still be a highly functional part of society. 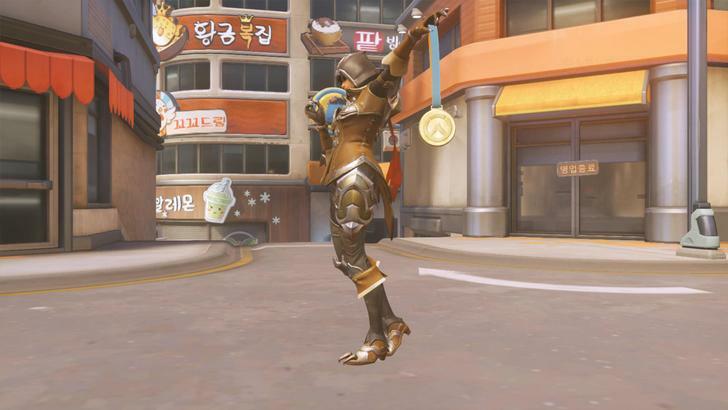 I say bring on the more diversity, show us that Lucio legitimately has no legs but is still able to skate on walls. I don’t care what it is because that’s what makes people great, that everyone is different and to be able to convey that through a video game is classic. Oh also while I’m at it, give all the heroes their backstories will ya Blizz! 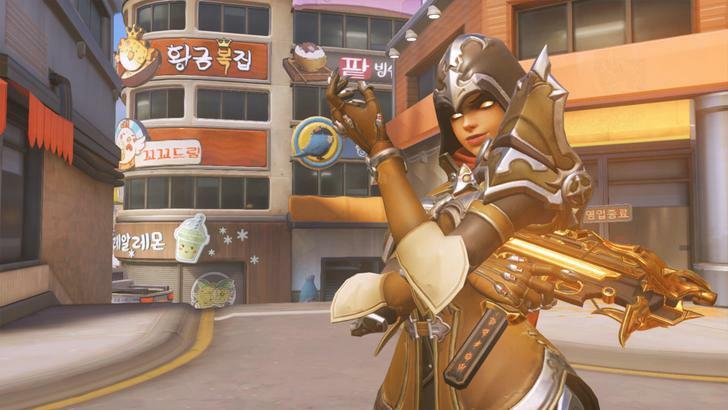 Blizzard Korea has banned 1,487 player accounts from Overwatch due to account sharing. Following the account sanctions for bad user / non-seller actors , we are pleased to inform you that the account sanction for the 11 seasons before the competition (account sharing) ** has been processed. Blizzard Entertainment is committed to creating a fair and positive game environment for our players. Below are the numbers and lists of accounts that have been deliberately manipulated during the 11 seasons before the Overwatch competition, or have been suspended for agents acting to interfere with or otherwise interfere with the normal operation of the game. If you always We say of him every player gives to send a lot of feedback through the announcements and Overwatch Community Thanks again, have you ever even seen a player is not allowed third party external programs, agency activities such as inhibiting the gaming players Report feature 45 or Hacks@blizzard.com please tip in. Don’t be giving your account for people to “level up”, “loot box farm”, “boost your account” or “raise your Competitive Season Rank (SR)” you will be in violation of terms and get account ban. The “sharing” ban hammer applies to all countries.